Open lenses: but we wouldn't be surprised if Sony's approval process is pretty harsh. Sony has announced that it will soon make its E-mount lens specifications available to outside manufacturers for free. The bold move would see any lens maker able to create lenses for Sony's single lens cameras and camcorders, provided they make it through Sony's approval process and sign a license agreement. With the specifications to be available from 1 April, some may be wary of Sony's open source plans, given its past tendencies to proprietary formats and the day's poisson d'avril associations. Still, it wouldn't be much of a joke and Sony has done a press release and everything, so we should trust that the interchangeable lenses from outside manufacturers will be coming our way eventually. 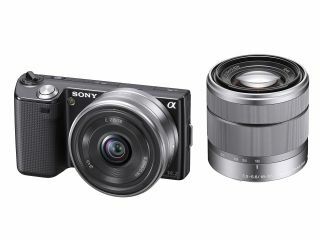 The Sony NEX-3, NEX-5 and NEX-VG10 all use the E-mount, as will future products. Non-Sony lenses will be attached via a mount adapter. A number of lens makers have already welcomed the move, including Carl Zeiss which said, "It helps manufacturer's product development, benefits customers and therefore assists in establishing "E-mount" as a new, healthy and strong system on the market."